No circuit needed. Read what I’ve told above. There must be an connector. Dare to open the mobile to expose the PCB. You’ll see one connector like the one I showed up here. can i use this booster in my Nokia 2600 phone ? hai. Pls give me clarification that the connecter in the mobile has two terminals or a single terminals. If two terminals, if we connect the one terminal to the stick antenna, what abt other? The body (outer ring) is ground and no need to connect it to anywhere. yo just ne4ed to hook on the inner pin that’s antenna pin. Yes, you just need to attach a telescopic antenna to the antenna socket. First end of a wire is connected to telescopic antenna and second end is connected to the external antenna connector in your mobile. where is external antenna connector? In the PCB of your mobile. 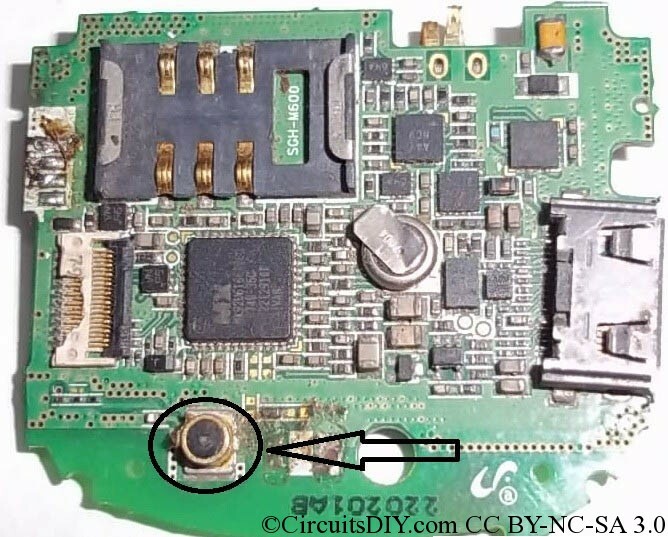 sir i made a alarm in that a chip with black dot is used what is that called ? That’s called a Chip-On-Board or COB. Yes, but those ways are too costly. 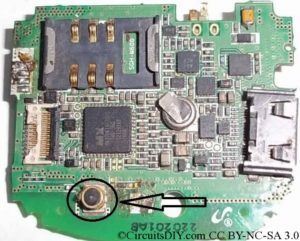 You may find antenna connector right below your mobile battery. there is less mobile netwrk in ma home. is any other way i can improve signal strenght of cell phnes ? The other way is too much costly, so this external antenna tip works best. I read all these but could not understand one thing, i.e. after connecting a wire to the mobile phone antenna connector, is the wire to be taped and kept when i use it out side the home where signal is strong enough from the tower. A video presentation would be more helpful about the booster you’ve mentioned. People are really confused…that’s why the thread is going lengthy. Expecting your valuable video explanation. I probably need to do that. How to find antenna connector in EVDO?